Designing the many site components for Michelle Lisa Anderson’s online movement, The Love Over Way, was an incredible design honour. Michelle is an amazing woman who has developed a series of courses and programs all to help and support women who love an alcoholic and/or drug abuser. This is tough work, and Michelle comes at it both fearlessly and from a gentle place of love. She’s also an incredible business woman. 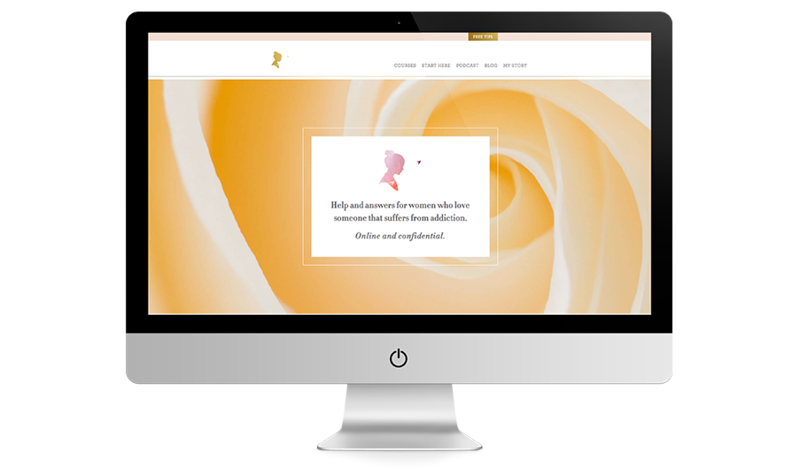 Because so many of these women are dealing with really tough themes in their live, Michelle wanted the look and feel of the sites we created to be gentle, welcoming, and also very easy to navigate and understand. We used a lot of flower imagery and also the symbols of a silhouetted woman with a bird in flight. The site is both elegant and simple, with a highlight on carefully selected typography and lots of white space. I’m really proud of our hard work on this project. Main site, blog, shop, and extended membership area.